You can leave a message by using the contact form. You can also mail me: rosaliesdrawings@gmail.com. When you want to make an order, we can talk about what kind of drawing you want (colour accents, size, pose, background, materials). Choose the image you want to have a drawing of. It is very important that the image is in high quality and is not too dark. The better the image, the better the drawing. 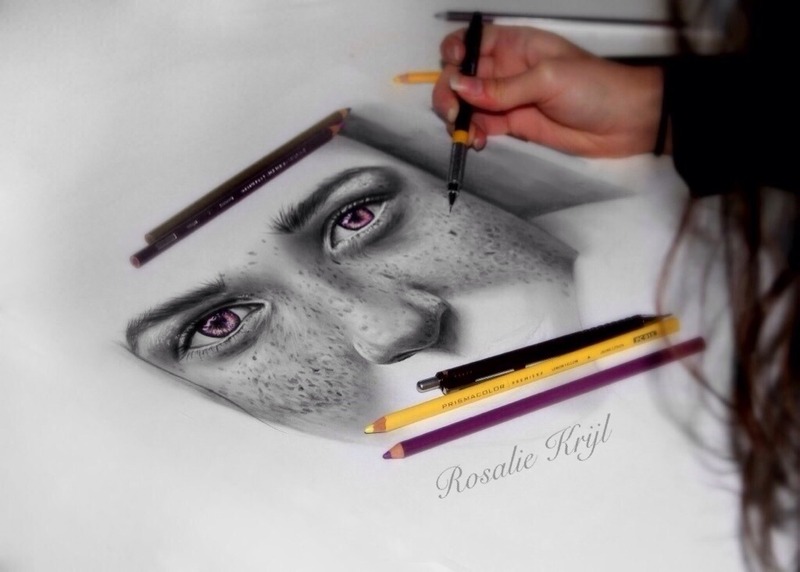 When you chose the image, you can digitally send them to: rosaliesdrawings@gmail.com. I will tell you if the image is suitable. Before ordering, you have to visit the price list. Here you will find information about sizes, prices and shipping costs. The last step is to make the payment. You can make a payment via PayPal or you can make a payment by Bank Transfer. You can choose to make the full payment at one time. You can also pay 50% in advance and 50% after you have seen the photo of the drawing. I will send progress photos during the process of making the drawing. You will receive your drawing when you are satisfied.